A new science fiction miniseries that gives us another vision of the cosmic horror entities! With the Gods Beyond Our Understanding, nothing is coincidence. Duplicity and greed come as standard. 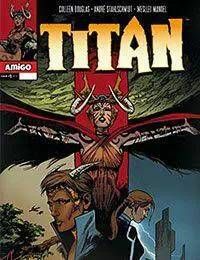 Titan, the new Mother of Monsters, knows the rule: None Shall Be Greater Than Another. Yet deception and force keep her unwilling to bend.